Amanda specialises in advising a broad range of clients on structured and unstructured trade finance and trade related disputes. 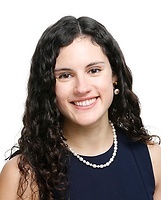 Prior to joining the firm, Amanda trained with a City law firm, where she gained experience in international project finance, energy sector disputes and financial services regulation. Amanda also completed a six-month secondment with that same firm’s debt capital markets team in Singapore.